After a lucky escape, blind lottery ticket seller Nguyen Van Thanh managed to sell all the tickets he was carrying. It's not normally a risky job. 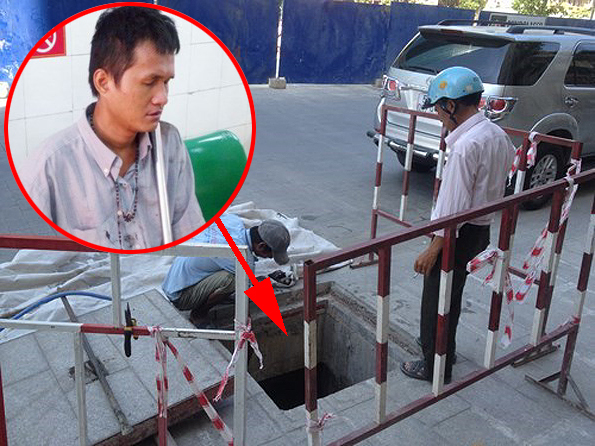 But on his way to work a blind lottery ticket seller fell into an uncovered manhole in Vietnam's Ho Chi Minh City, and was heard calling for help. A group of workers were able to get 33-year-old Nguyen Van Thanh out, and take him to a local hospital with multiple injuries. Doctors said none of the injuries to his head or limbs were life threatening. Thanh said the accident happened around noon when he was walking with his cane. He said he has been selling lottery tickets in the area for nearly 20 years. The best part of this story? Passers-by reportedly bought all of his 60 lottery tickets which had got completely wet in the accident. And the contractor in charge of the construction paid for his medical expenses.